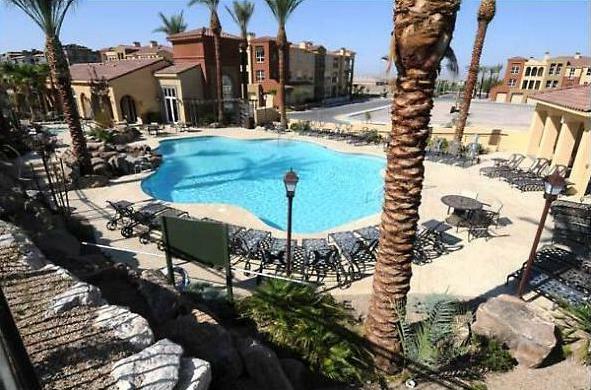 Terra Bella at Sun City Anthem condos for sale are high end age restricted units located in the heart of Sun City Anthem in Henderson Nevada. The Sun City Anthem condos for sale available at Terra Bella are currently the only high end condominium project available for sale in Henderson and in the Sun City Anthem areas. The new and previously owned Sun City Anthem condos for sale range in size from roughly 1,400 to 2,200 square feet. The Sun City Anthem condos for sale at Terra Bella feature an array of views including the Las Vegas strip and Las Vegas Valley, the McCullough and Black Mountain ranges, and the lush landscaping of the surrounding Sun City Anthem community. The Sun City Anthem condos for sale at Terra Bella feature the security of a gated community and condo owners enjoy many amenities included in the project such as: a central community center with private rooms, a community pool, spa, kitchen facilities, bar-b-que services, hiking trails, walking paths, and a sports court area. The Sun City Anthem condos for sale at Terra Bella will feature more than 225 units and will be build in a variety of 3 story, custom buildings with private and secure elevators only accessible to guests, owners and maintenance crews allowing for a more secure living experience. The condos at Terra Bella feature an abundance of custom and included build features such as standard granite counter tops, vaulted ceilings, private entrances, and private garages. The Sun City Anthem condos for sale at Terra Bella range in price from the low $200,000 to the mid $400,000′s for new units, and varying pricing for properties available on the previously owned market. If you would like to view all the Sun City Anthem condos for sale currently available at Terra Bella please click the link below. If you would like to schedule a time to view either the previously owned units, or the new units available for sale at Terra Bella, please contact one of our real estate experts and we will be happy to assist you.